Ah, the thought of working from home. No more commute. No chance of getting that sickness that goes around the office every winter. No need to even make a lunch to bring every day. You have your entire fridge! Yes, it does sound glorious. And for many people, it is! But not necessarily for everyone. Is this something you have thought about? This checklist will help you evaluate if this is an option you should consider. Okay, this is perhaps the most obvious difference. 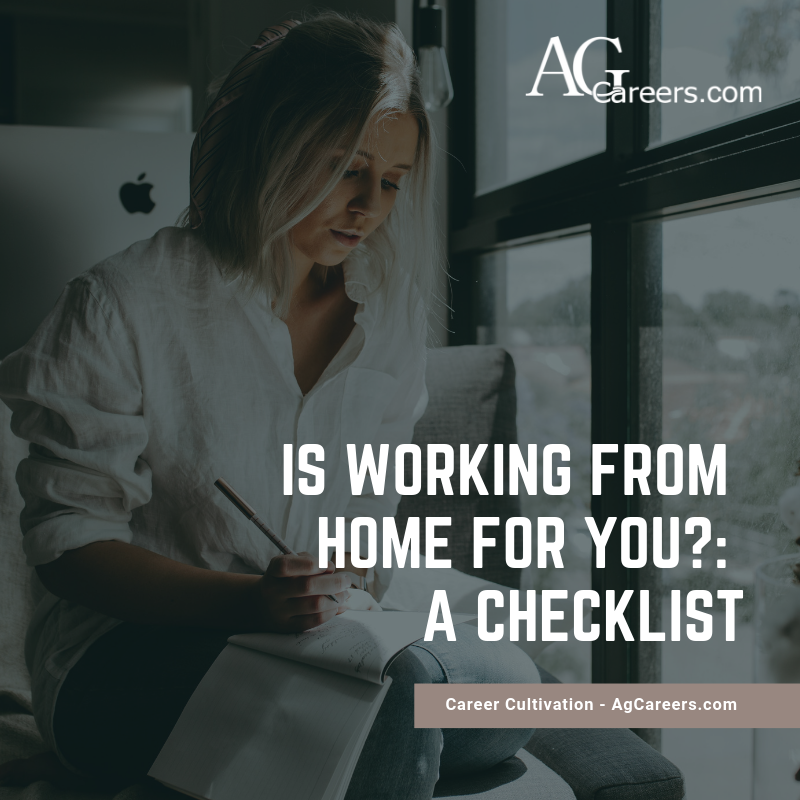 Although this depends on your current workplace setting, this will most likely be a drastic change from working in an office constantly surrounded by others. I spoke with one of my dear extroverted friends about her experience working from home, and she mentioned that it was not a good fit for her because she needs more human interaction. Don’t underestimate the value of that daily talk with your colleagues at the watercooler. Everyone is different! You know yourself better than anyone else. Set yourself up for success. On the same note, perhaps working in that office filled with people prohibits you from being productive and getting your work done. A simple walk to the restroom could suddenly bring you into a conversation about your coworker’s dog’s illness that you never asked about. Meetings. We all have them. Some of us may dread them, some may love the opportunity to share and see our fellow coworkers. Regardless of how we may feel, meetings are likely a part of your job whether they are in person, over the phone, or virtually with a webcam. 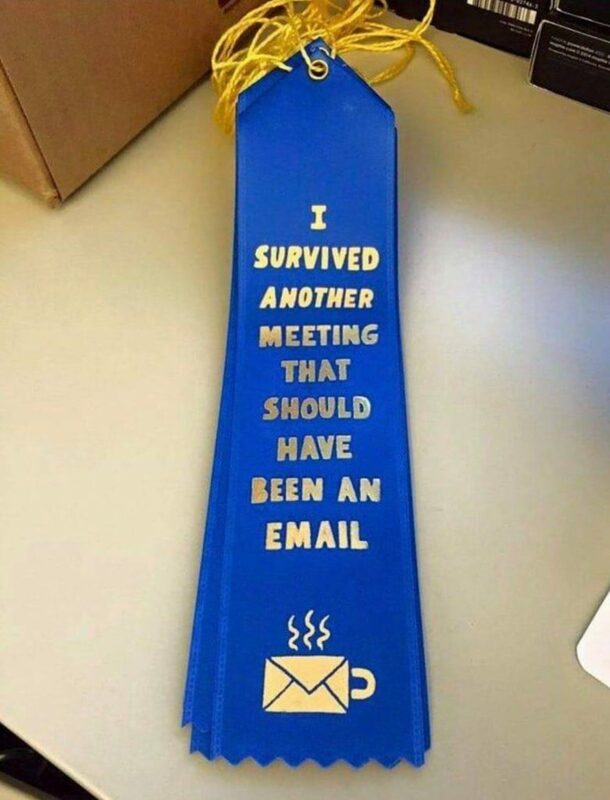 So, how do we make the most of these meetings? How do we consistently pay attention to remain engaged? It starts by being intentional. To begin, we must set ourselves up for success. And if you’re anything like me, this means eating beforehand. As much as I like to think that I do not get “hangry,” without food…it happens. This can also prevent you from getting distracted during the meeting if it were to run late or into your lunchtime.